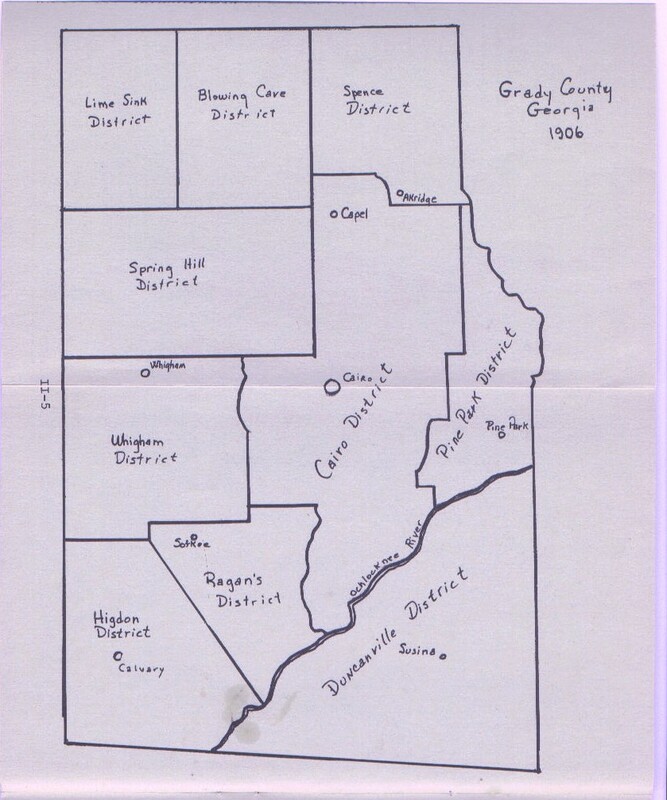 Grady County is a young county and there are only four federal census records available: 1910, 1920, 1930 and 1940. For census records prior to 1910, look in either Decatur or Thomas counties, the parent counties of Grady. The images from the 1920 Grady census are available at the Grady County Archives in The USGenWeb Project Archives. Transcriptions for some districts are shown below. Thanks to the volunteers who donated their transcriptions. If you'd like to contribute, please contact the county coordinator! Map showing the name and location of the Militia Districts.